The 3 Referenda – Yannis Hobby Site! Having said that, this article is just a sum up of my thoughts, on the 3 recent referenda. Starting from the Crimean referendum, on March, a trend seemed to start all around Europe, regarding the historic question of “Where do I belong?”, or in other words, whose nation’s do I feel part of. Namely, Catalonia, Scotland and Ukraine, have all took a different stand on the matter. I believe it makes more sense to split up the following in paragraphs, separately for Ukraine and separately for Scotland and Catalonia. Primarily, Crimea, formerly (or currently?) 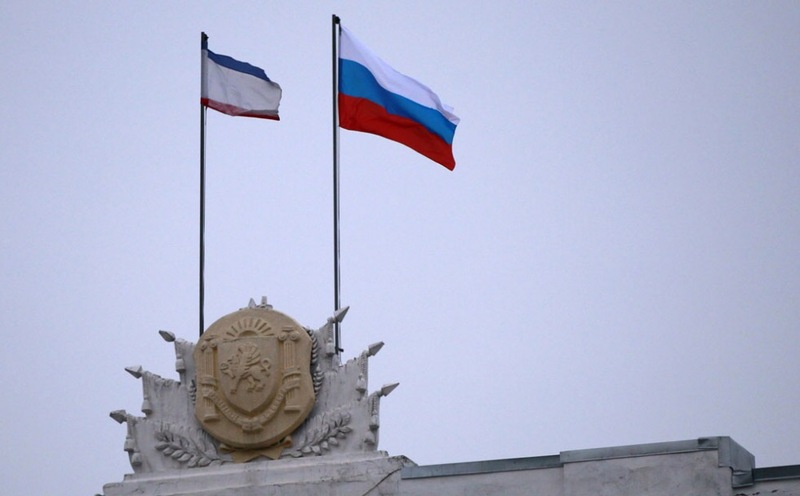 a part of Ukraine, contrary to the Post Soviet trend, wished and voted to become a part of Russia. The legality and the factors that led to this referendum being held could well be rather shady, as analysed in my two previous articles here and here. This article only aims to serve as a “starting light” for the thoughts behind the reasonings of the Ukrainians, the Scots and the Catalonians, however it’s worth mentioning due to recency factors, that Russia keeps on sending forces to Ukraine. There were also rather scary incidences, like the one of MH17, but if Russia aims no more than Crimea, then one could supposedly describe these moves as “territory defence”. Anyways, what could have led to that decision? Crimea is one of the easy ones really, more than 50% of the people there are Russian, most people speak Russian there and the voting generation mostly consists of people that lived the end of the Soviet Union and who, despite their own wishes became part of Ukraine. This referendum was their chance to get what they wanted all these years ago. Now, whether the new generation is in accordance with this, remains to be seen. I believe that a more interesting case is the one of Scotland, which inspired the Catalonians too. It’s common knowledge to be aware of the fact that the Scots have long urged for their independence. Initially, that looked as something that would really happen in the end. 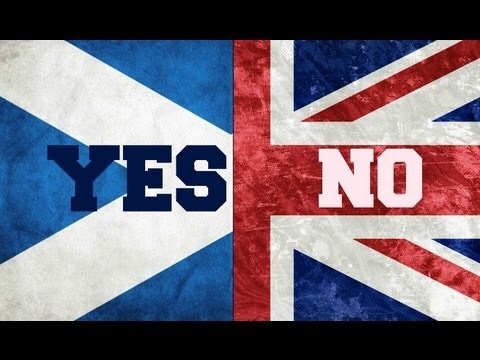 However, either because of the negative implications of such a decision to the local economy, either because of the promises of England to the Scots, the Scots voted to remain part of the UK. Once more, a national group, like the Scots, decided to remain part of a larger Union, in this case, the UK. I believe the spirit of a potential national independence had a global influence. In the case of Catalonia, that led to the proclamation of a national referendum for independence. 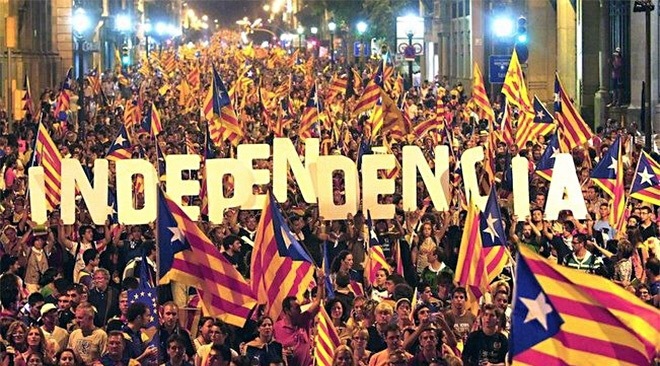 Despite the fact that the Spanish Crown quickly dismissed the referendum as illegal, the fact that the vast majority just voted for independence only shows that the final page for Catalonia’s independence has not been written yet. 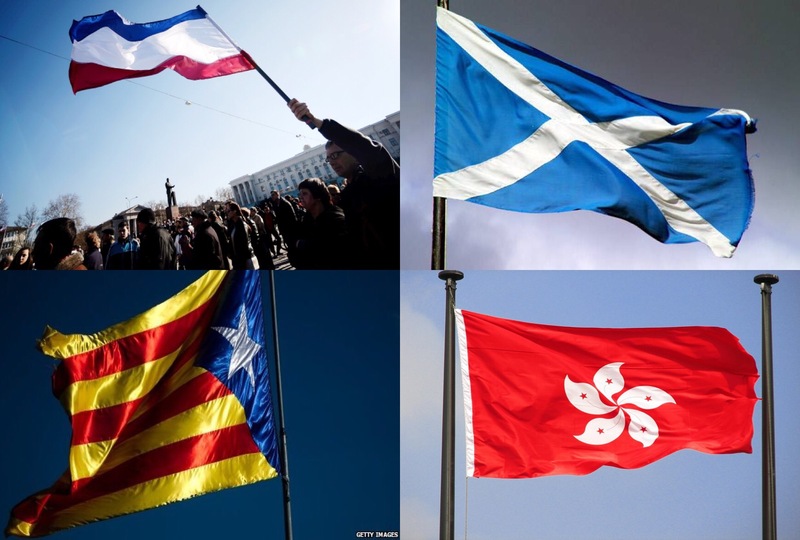 Additionally, the recent strikes in Hong Kong for more independence from China almost immediately after the strikes in Catalonia and the Scottish referendum seems like the result of the general independence spirit. Why does the world seem to wish to create smaller states at this time? Well, as history has indicated many times, crises of any kind can result to a rapid increase of the nationalist spirit, which works better in smaller states. Or maybe the crisis just catalyses the breakdown process of large nations, which seems to happens every now and then since WWII. Maybe that’s just a trend of our century, just like the creation of large nations was apparent, even as late as the beginnings of the 20th century, where colonies still existed. It’s just that just in 2014, we’ve seen way more referenda than in the last decade combined! Maybe that’s part of a trend, maybe not. But should that actually be a trend, then one’s for sure, the total referenda of this decade will become way more than 3! Farewell guys, thanks for reading one more collection of my thoughts 🙂 And as always, if you have a different opinion on these events, feel free to comment it below, I’ll be looking forward to reading them.